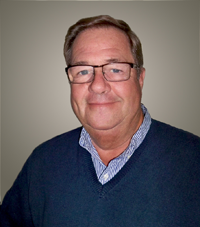 Eddie Edwards, Our Founder THE HISTORY OF MSH began long before our founder, Eddie Edwards, incorporated Movers Supply House in 1977. Getting a start in the moving industry by Sadler Morgan, of Morgan & Brother Manhattan Storage Co., at the age of 18. Within a couple years, Eddie purchased York End Movers in Manhattan, running his two truck moving company from 1964 until 1969 when he saw an ad in The Movers News for a salesman for Matlock Truck Body. Eddie was hired by Matlock, selling York End Movers to John Griffen at Freeman Van & Storage. On the road as the Matlock sales rep, movers began asking if he could supply inside van equipment, so he began selling logistic straps, dollies and rubber bands out of his old Pontiac station wagon. During the recession of 1974, Matlock converted their salespeople into distributors. This allowed Eddie to purchase and resell new trucks and trailers, and add products to his inside van equipment business. 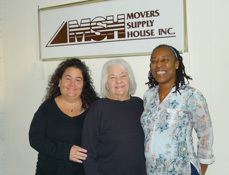 Shortly thereafter, whilst sharing space from Clancy Cullen Moving & Storage in the Bronx, MSH became a full service supply house. Eddie purchased an old marble factory building in the Bronx in 1978. The next few years saw good growth, but a devastating fire in 1981 destroyed the entire inventory and building. It took over a year to get everything back up and running. During this time, customers and vendors worked hard to keep the company operating, with storage trailers and borrowed office space. Two weeks after the fire, Joe DeHaen started with the company as the Warehouse Manager. Overseeing the warehouse, shop operations and dispatching, Joe was successful in keeping customers happy and satisfied. Now as President, Joe manages all the day to day operations. Eddie’s son, Ted, starting working at MSH part-time while in school and in 1984 became a full time employee. Working originally as a delivery driver and sewing machine operator, he eventually took over the truck and trailer sales. 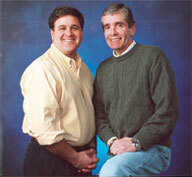 With his help, the company published its first catalog in 1982 which he continues to this day. He also manages our family of websites; UsedMovingVans.com if you are looking to sell or purchase a used moving van, UsedMovingVans.com is the industry go to source and NewMovingvans.com which has all the information necessary to help you design and purchase your new custom Kentucky moving van body. 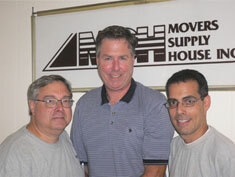 Our site MoverSupply.com offers a comprehensive listing of all your moving and material handling equipment needs. Today, our founding principles of building strong client relationships and offering top quality merchandise at a competitive price have not changed. Let our trusted team of professionals assist you with the details of your next purchase. We invite you to see for yourself how you – our customer – is at the forefront of everything we do. We look forward to hearing from you by phone at 718-671-1200 or email at customerservice@moversupply.com.